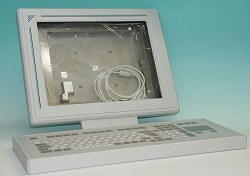 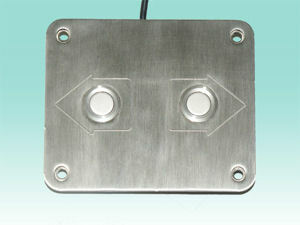 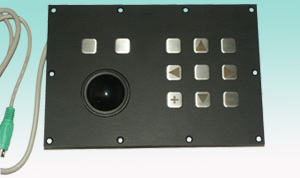 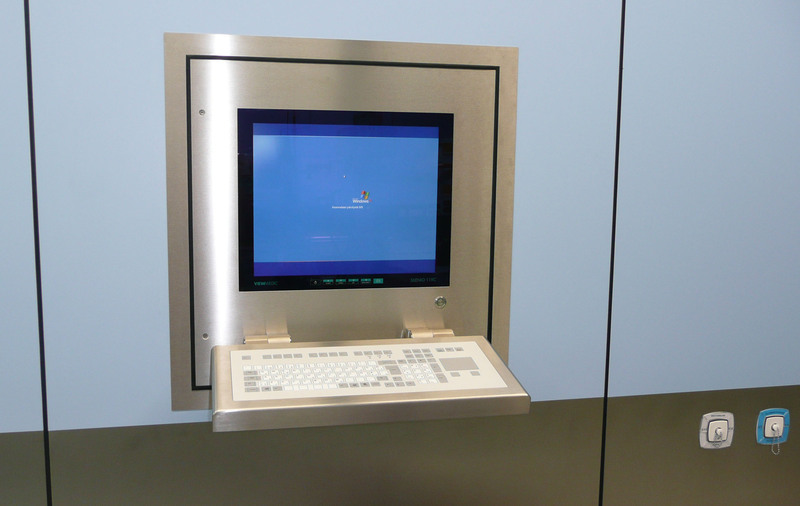 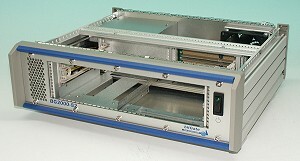 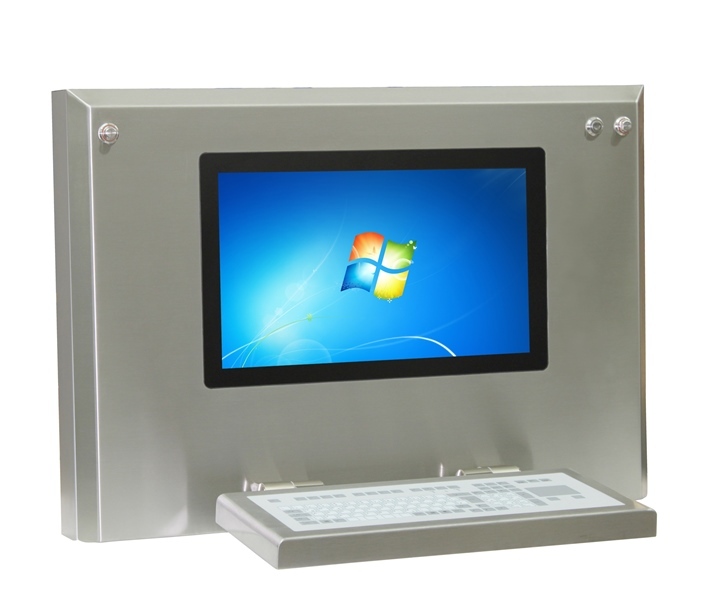 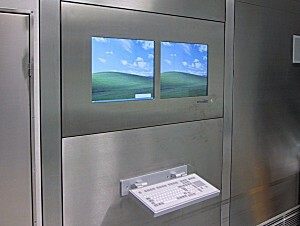 Customized panel-PC-enclosure with WALLY-6/MP on adjustable hinges, cable conduit through the hinges. 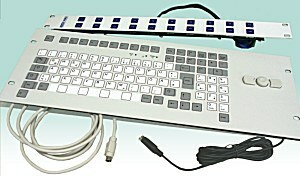 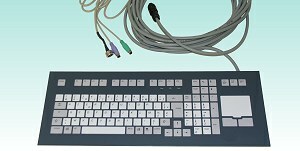 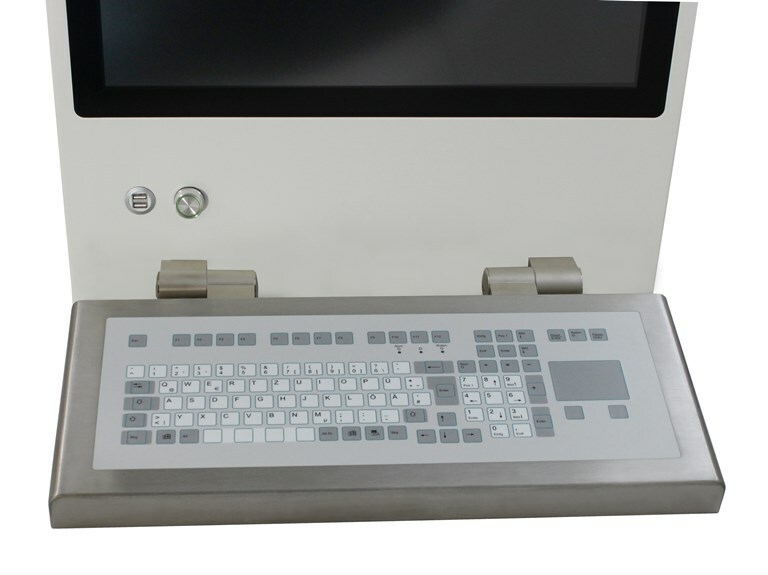 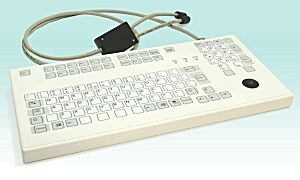 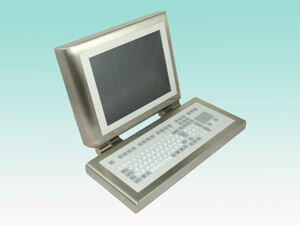 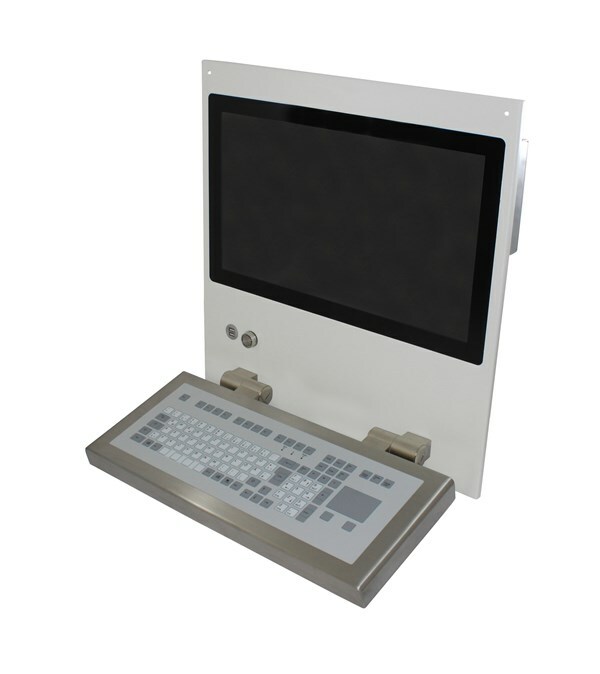 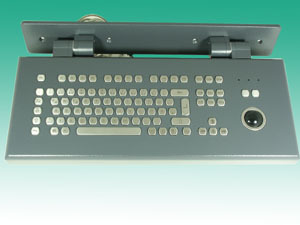 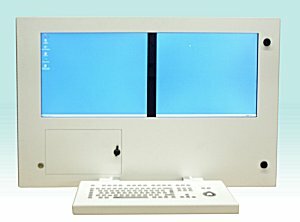 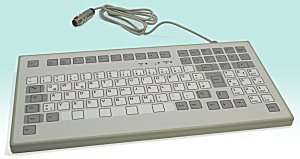 Monitor- and keyboard enclosure are also available separately. 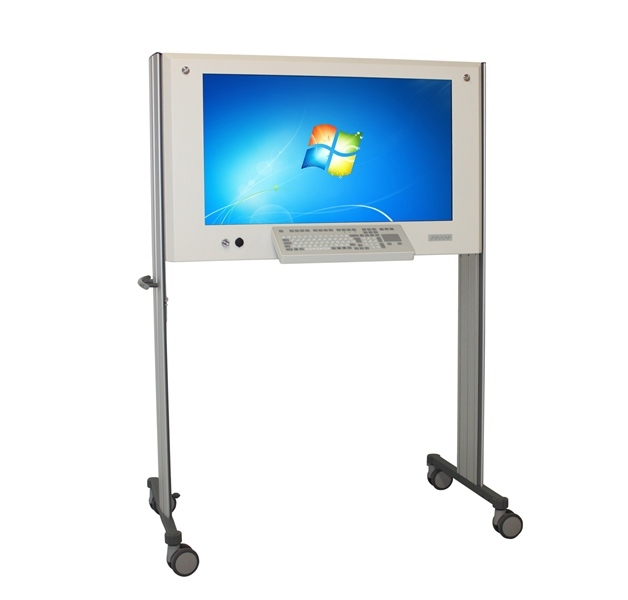 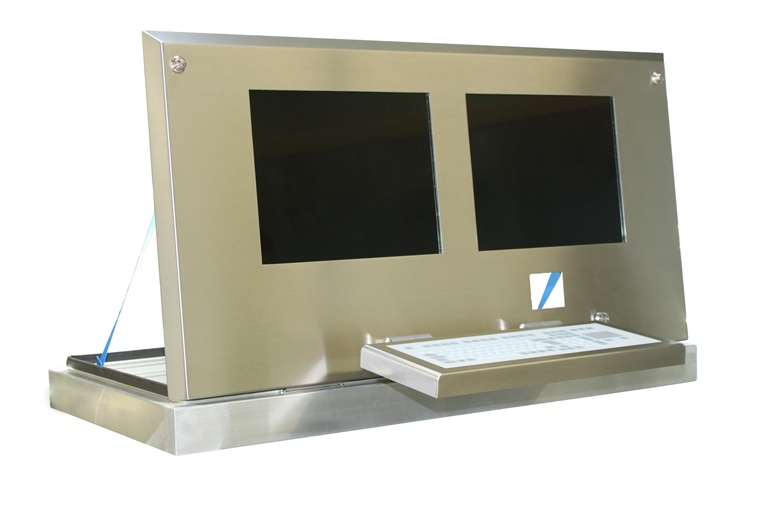 Dual monitoring system 21.5 "
prepared for 2 TFT-displays 19"
with 4 pieces fastening bores for 19"